#BOMTC Jacob 5: God Wants Good Fruit from “OLIVE” Us! To understand Jacob 5, one must begin at the end of Jacob 4. In Jacob 4 the prophet Jacob had asked us to consider how the Jews could ever build on the “sure foundation” of Jesus Christ after they rejected Him (v. 17). To answer this question Jacob quotes the teachings of the prophet Zenos. Zenos’ allegory of the olive tree teaches us about the Lord’s purposes in the scattering and gathering of the house of Israel. 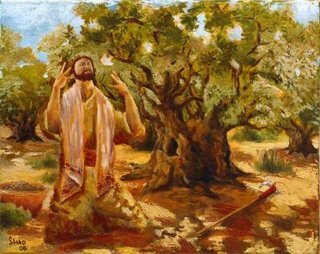 Interestingly, the olive tree tends to be God’s great object lesson when referring to the scattering, gathering, and salvation of His children (see my #BOMTC 1 Nephi 16 post for more on this). Chapter 6 then contains Jacob’s commentary on the major points of Zenos’ allegory, and Jacob emphasized the Lord’s mercy and justice while encouraging his people—and us—to repent. “In general, the Lord sends to earth in the lineage of Jacob [Israel] those spirits who in pre-existence developed an especial talent for spirituality and for recognizing truth. Those born in this lineage, having the blood of Israel in their veins and finding it easy to accept the gospel, are said to have believing blood” (Mormon Doctrine, 81). “The scattering of Israel throughout the world sprinkled the blood that believes, so that many nations may now partake of the gospel plan” (Ensign, Nov. 1982.). What really stands out to me in these pages is how much the Lord loves “OLIVE” His children, and how much He desires “OLIVE” us to produce “good fruit” (good works). God does indeed love “OLIVE” us, and wants “OLIVE” us to live “good fruit”-ful lives! What are your thoughts on this awesome allegory? God uses love-inspired correction to guide us to a future we do not or cannot now envision but which He knows is the better way for us. KnoWhy: Jacob 4:17, Why Did Jacob Share the Allegory of the Olive Tree? KnoWhy: Jacob 5:1, Is Anything Know of the Prophet Zenos Outside of the Book of Mormon? KnoWhy: Jacob 5:3, What are the Roots of Zenos’ Allegory in the Ancient World? KnoWhy: Jacob 5:9–10, Why Did Zenos Give So Many Details about Raising Good Olives? What really stands out to me in these pages is how much the Lord loves “OLIVE” His children, and how much He desires us to produce “good fruit” (good works). 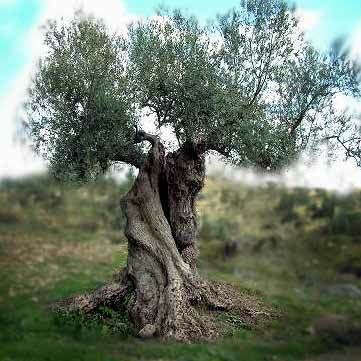 #BOMTC Day 22, April 28~Jacob 5 or Pages 127-32: God Wants Good Fruit from “OLIVE” Us! To understand Jacob 5, one must begin at the end of Jacob 4. In Jacob 4 the prophet Jacob had asked us to consider how the Jews could ever build on the “sure foundation” of Jesus Christ after they rejected Him (v. 17). To answer this question Jacob quotes the teachings of the prophet Zenos. Zenos’ allegory of the olive tree teaches us about the Lord’s purposes in the scattering and gathering of the house of Israel. Interestingly, the olive tree tends to be God’s great object lesson when referring to the scattering, gathering, and salvation of His children (see my post in #BOMTC Day 6 for more on this). Chapter 6 contains Jacob’s commentary on the major points of Zenos’ allegory, and Jacob emphasized the Lord’s mercy and justice while encouraging his people—and us—to repent. To understand Jacob 5, one must begin at the end of Jacob 4. The prophet Jacob asked how the Jews could ever build on the “sure foundation” of Jesus Christ after they rejected Him (Jacob 4:17). To answer this question Jacob quotes from the teachings of the prophet Zenos. Zenos’ allegory of the olive tree teaches us about the Lord’s purposes in the scattering and gathering of the house of Israel. Interestingly, the olive tree tends to be God’s great object lesson when referring to the scattering, gathering, and salvation of His children (see my post in #BOMTC Day 6 for more on this). Chapter 6 contains Jacob’s commentary on the major points of Zenos’ allegory. Jacob emphasized the Lord’s mercy and justice while encouraging his people—and us—to repent. As scattered Israel mixed with the Gentiles around them, the blood of Israel was spread even further. Elder James E. Faust, then a member of the Quorum of the Twelve Apostles, commented: “The scattering of Israel throughout the world sprinkled the blood that believes, so that many nations may now partake of the gospel plan” (Ensign, Nov. 1982, 87–88). 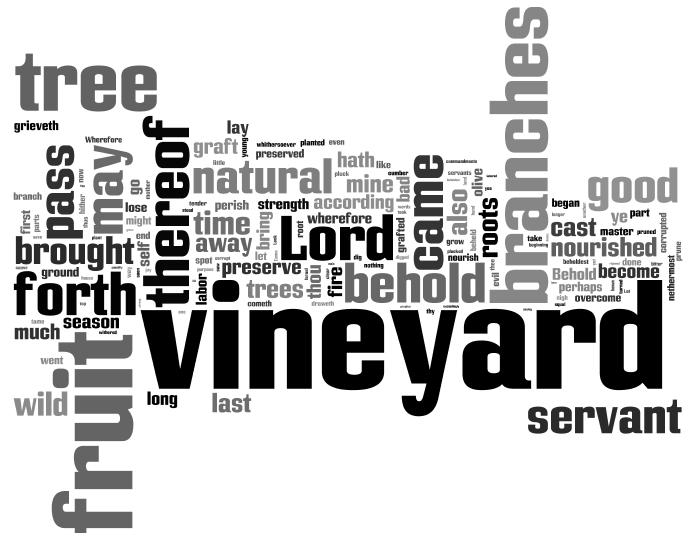 #BOMTC Day 22, April 28~Jacob 5 or Pages 127-32: God Wants Good Fruit from OLIVE Us! The scattering of branches of Israel all over the world was a blessing both to Israel and to the rest of Heavenly Father’s children, the Gentiles. Elder Bruce R. McConkie, who was a member of the Quorum of the Twelve Apostles, explained: “In general, the Lord sends to earth in the lineage of Jacob [Israel] those spirits who in pre-existence developed an especial talent for spirituality and for recognizing truth. Those born in this lineage, having the blood of Israel in their veins and finding it easy to accept the gospel, are said to have believing blood” (Mormon Doctrine, 81).